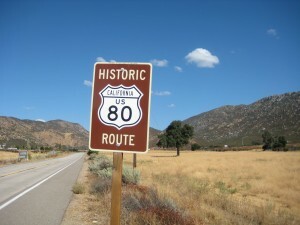 Historic Highways 80 and 94 Road Trip this Saturday! Mountain views along Historic Highways 80 and 94. Road trip! If you’re up for adventure this weekend and looking to hit the open road, I’ve got the trip for you: the 6th Annual Passport Through Time Road Trip on Historic Highways 80 & 94. For those not familiar with Highways 80 and 94, they’re like San Diego’s very own Route 66 – a slice of Americana traversing a scenic rural landscape leading to some fun and surprising roadside treasures. The caravan of cars and motorcycles will cruise through San Diego’s “backyard’s backyard,” covering a distance of about 100 miles! It’s so leisurely paced though, with a dozen plus pit stops along the way, that you’ll hardly notice the miles fly by. 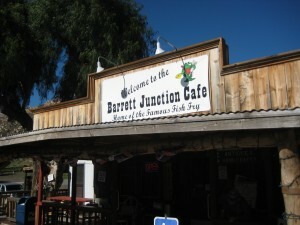 Barrett Junction Café is a favorite back road stop. Opened in 1946, the cafe is famous for its family-style fish fry. Check out the funky collection of antiques and historic photos lining the café’s walls and counters. A vintage ice box and antique phone (that still works) add to the country charm. Step back in time at the Potrero General Storewhich dates to the stagecoach era of the mid-1800s and has a friendly, small- town feel. Café 94, a popular local diner connected to the general store, is the place for home-style comfort food. 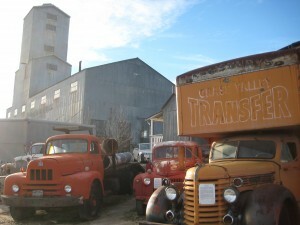 The Motor Transport Museum in Campo one of my favorite backcountry attractions – home to 200+ antique trucks and other motor transport vehicles, plus an eclectic collection of photos/memorabilia related to automotive pioneers. It’s housed in the historic Campo Feldspar Mill, built in 1929. 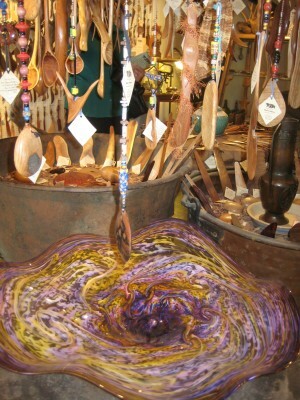 Wisteria Candy Cottage - delish! 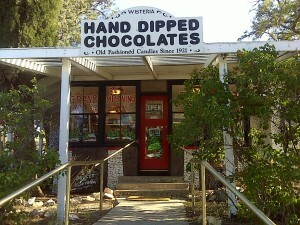 The famous Wisteria Candy Cottage in Boulevard a family-run sweet shop housed in a one-room schoolhouse from 1921, is famous for its hand-dipped chocolates and other old-fashioned candies. Yum! 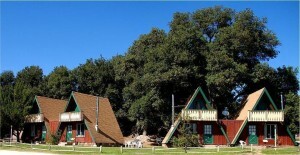 Live Oak Springs' cozy cabins. Live Oak Springs Resort, also in Boulevard, is a cozy and romantic mountain getaway known for its picturesque, two-story A-frame cabins. Nestled amongst the giant oak trees, they look like something right out a children’s storybook. The Tryyn Gallery in Guatay a little-known artistic jewel, featuring a collection of handcrafted wooden cooking utensils and other unique wood carvings by craftsman Bill Chappelow, whose fine-wood designs are part of the Smithsonian collection in Washington, D.C.! The Passport Road Trip begins at 9 a.m. at Simpson’s Nursery in Jamul (registration $20 per car) and ends at the Downtown Café in El Cajon at 3 p.m. with a sumptuous no host buffet, live entertainment and auctions to win some fab prizes. 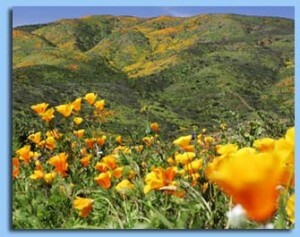 Get your motor running and discover the delightfully diverse communities of San Diego’s East County!